Eleanor Gunstone was never anything more than a casual jogger but her impact on our sport is a legacy that most would be proud to have achieved. 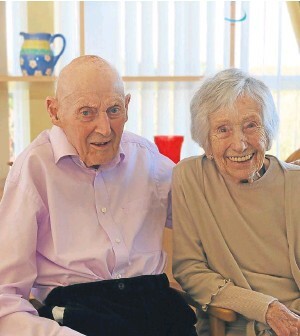 Born 91 years ago in Liverpool, Eleanor joined her husband Frank in Glasgow in 1948 two years after he had taken a Lecturing job at the University of Glasgow. Shortly afterwards, in 1954, Frank moved to the University of St Andrews and developed into a world class Lipid Chemist and at one time Vice–Principal of the University. Eleanor was happy to come in the package and it seems to have worked as Frank and Eleanor celebrated their 70th wedding anniversary in March this year. 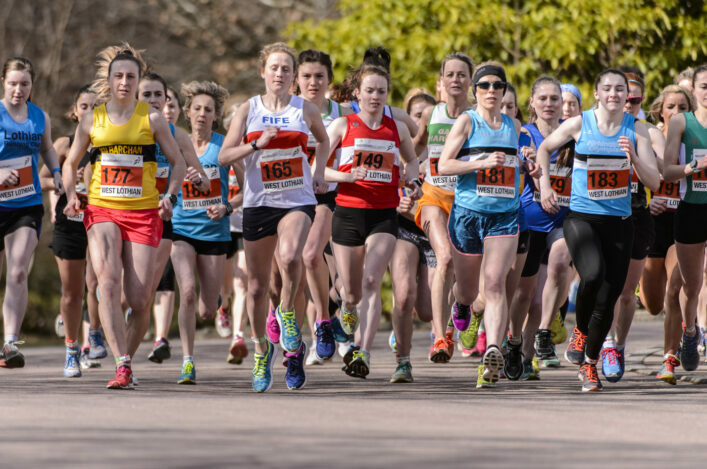 Eleanor’s interest in athletics started when her daughter Penny showed promise in endurance running and, being helped by Don Macgregor, they and many others set about developing a club in St Andrews in the early 1970s. 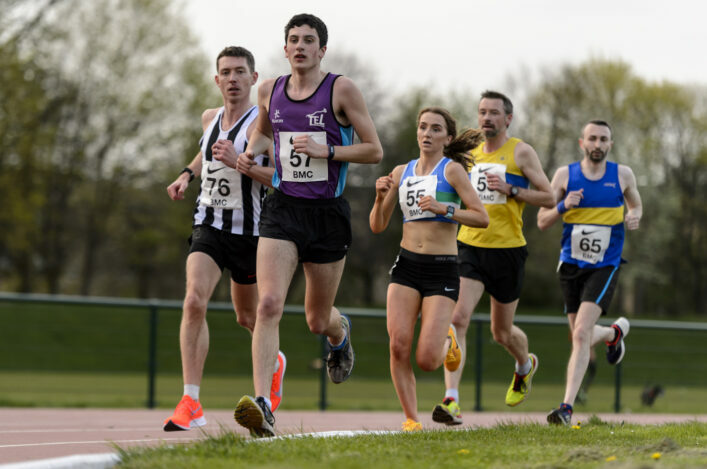 That soon combined with the already successful Cupar & District club in 1975 to form what is now Fife AC. Eleanor contributed many years of service on the Committee and lead it as President in 1988-1991. Eleanor soon understood that the then governing bodies of our sport needed competent people to drive them forward. She was and Executive Member of the SWAA from 1974 until the formation of the SAF including being Honorary Secretary from 1983-6 and representing the SWAAA as a representative on the British Amateur Athletic Board. She was also a General Committee member of the SWCC&RRA from 1975 and Honorary Treasurer from 1977 until the formation of SAF in 1992. When the SAF was formed by the amalgamation of the four Scottish Governing bodies, Eleanor embraced the challenge by being a member of the Interim Council and acting as both Vice–Convener and Convener of the RR&CC Commission 1992-1998. Controversially, she set up the Scottish Women’s CC & RR Trust to ensure that the SWCCU monies were directed to women’s endurance running. It was these monies now administered by the SAL that allowed athletes like Freya Murray to benefit from high altitude training. Eleanor Gunstone was a Grade 1 Track and Field Judge from 1973 officiating at numerous athletics events in Scotland. 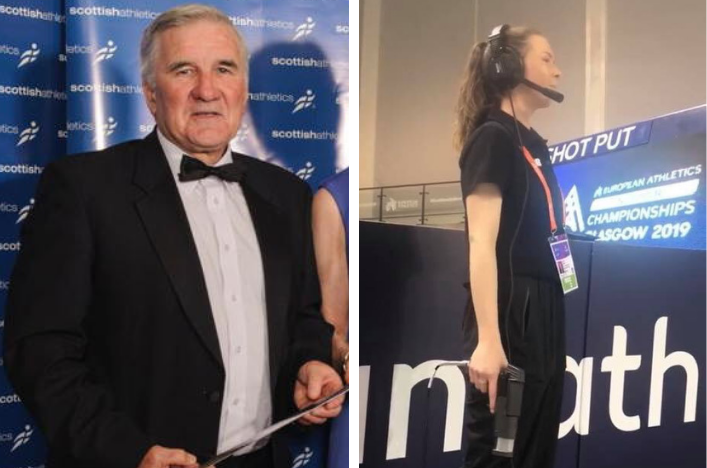 In addition she acted as referee at the Scottish Women’s Cross Country Championship, the Edinburgh to Glasgow relay and the six-stage National Men’s Road Relay Championships. She convened International events, the East v West Women’s match and acted as International Team Manager at track and field, cross country and road running internationals. As if she did not have enough to do, Eleanor Gunstone served as a local councillor from 1990 to 2007 in St Andrews. My own favourite story of Eleanor is her insisting that anyone recording at a race must use a pencil and it had better be sharpened at both ends. In 2014 Eleanor Gunstone was presented with an award for achieving 40 years of service by UK Athletics. Being unable to travel to the presentation in Solihull Eleanor received the award at the SAL AGM that year. Also in 2014 Eleanor carried the Queen’s baton for the Commonwealth Games as it passed through St Andrews. Eleanor is survived by her husband Frank, their children Douglas, Penny and John, 10 Grandchildren and 11 Great Grand Children. Hope Park Martyrs Church, St Marys Pl, St Andrews KY16.